Vote for Art Contest Winners! Thank you to all the clubs that promoted the art contest this year. With your help, we received more than 3,000 entries from children around the world! Now visit the Live Your Dream Facebook page to help pick the winners. 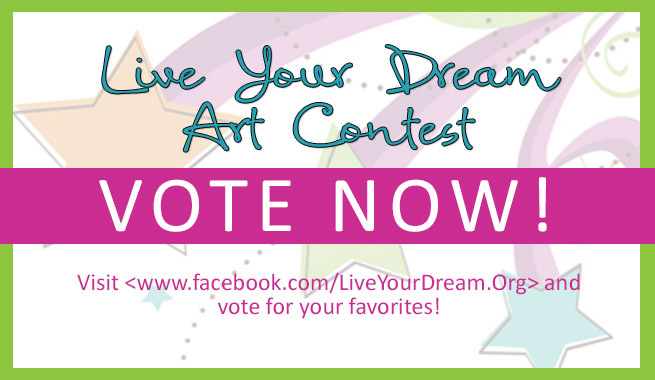 Like last year, vote by “liking” the picture of your favorite artwork in each category. SIA will post one category per week throughout February, and announce the winners once the fourth week of voting is over. SIA is working with clubs and girls to perfect the new girl program materials, in anticipation of the program’s launch at convention in Vancouver. Read the updates here. Have a great local project? Need additional resources to fund the project? Proposals for the Soroptimist Club Grants are due March 13. And don’t forget, SIA has additional funding for education and leadership programs through generous donations to this year’s December 10th Appeal. Generous donations to SIA provided enough funds to give new SIA clubs $1,000 for their first Women’s Opportunity Award club-level recipient. This year, 14 clubs were eligible for funding. What a wonderful way to welcome new clubs to SIA—and help more women! Convention News: Meet Our Keynote Speakers! Convention registration will be available soon. An email announcing the opening will be sent to all members! In the meantime, visit the SIA convention page to make hotel reservations and learn about fun and interesting things to do in Vancouver. 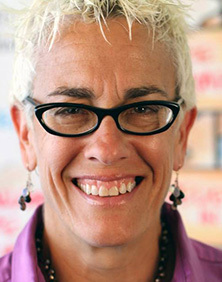 On Thursday, July 24, Patti Dobrowolski will present “Drawing Solutions: How A Simple Drawing Will Change Everything.” Patti is an internationally recognized strategic illustrator, critically acclaimed comic performer, writer, and business consultant. 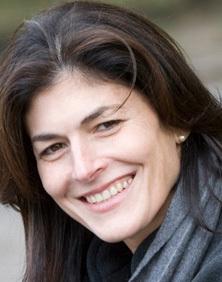 To learn more about Patti, visit her website. Also be sure to read Patti’s article on the Live Your Dream site. On Friday, July 25, Kayce Freed Jennings, executive producer of the feature film Girl Rising, will speak about the strength of the human spirit and the power of education to change the world, especially for girls. 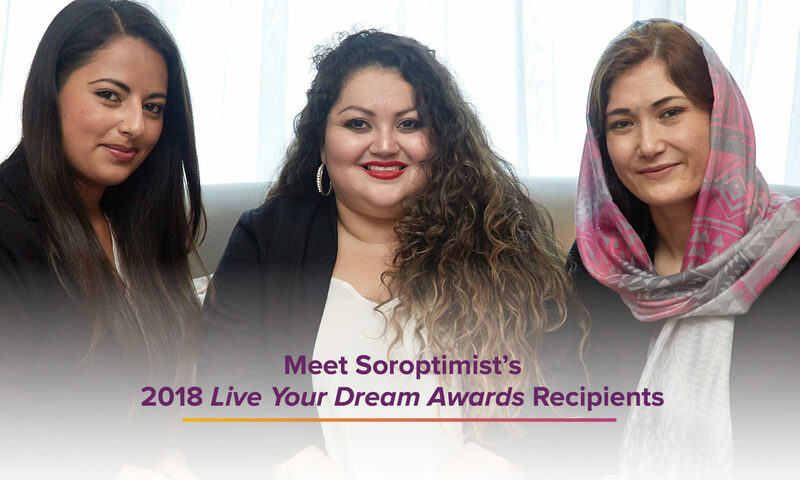 Congratulations to the following Soroptimist members who were elected to serve on the 2014-2015 SIA Board of Directors: Mariza Soares de Azevedo , SI/Curitiba, Brazil Region; Yoko Ichigatani, SI/Oita-Midori, Japan Minami Region; Meen Seon Kim, SI/Seoul, Korea Region; Donna Ronca, SI/Fullerton, Desert Coast Region; Beverly Bucur, SI/Illiana, Midwestern Region; Wanda Price, SI/Five Points Magneta, North Atlantic Region; and Sue Riney, SI/Oak Harbor, Northwestern Region. These newly elected board members will take office on September 1, 2014 and serve through August 31, 2016. Full results of all the ballots may be found on the federation information page of the SIA website. 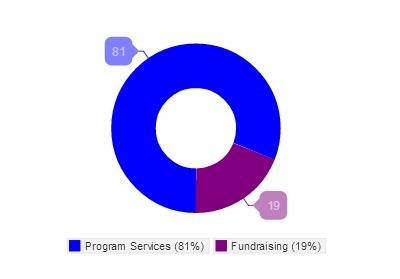 81 cents of every dollar contributed to SIA goes directly to our important programs that empower women and girls in local communities like yours and around the world. “I will proudly wear my Laurel Society pin, which will remind and inspire me knowing that Soroptimists are making a significant difference, helping women and girls across the world to achieve their dreams!” – Janet Kenney, SI/Olympia, WA. When you join the Laurel Society, you join an extraordinary group of women like Janet Kenney who help provide the leadership and resources critical to our mission. Will you join her today? For more information about the Laurel Society, click here. Have your club meetings grown stale? Is meeting attendance low? Have members lost that loving feeling? Click here to see how SI/Corona, California, made a few simple changes to re-energize their club’s meetings by instituting its Meeting Mix-Up idea! Hydrate in style with the new BPA-free Live Your Dream water bottle. Visit the Live Your Dream store to buy yours today!